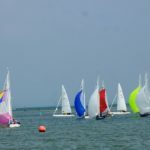 “After the final race on Sunday morning for Bill’s Barrel, the course was re-set and umpire RIBs manned ready for the final of the team racing that had had to be aborted in early December after Raymond Simonds’s Illusion was damaged during the first of the ‘best of five’ races. 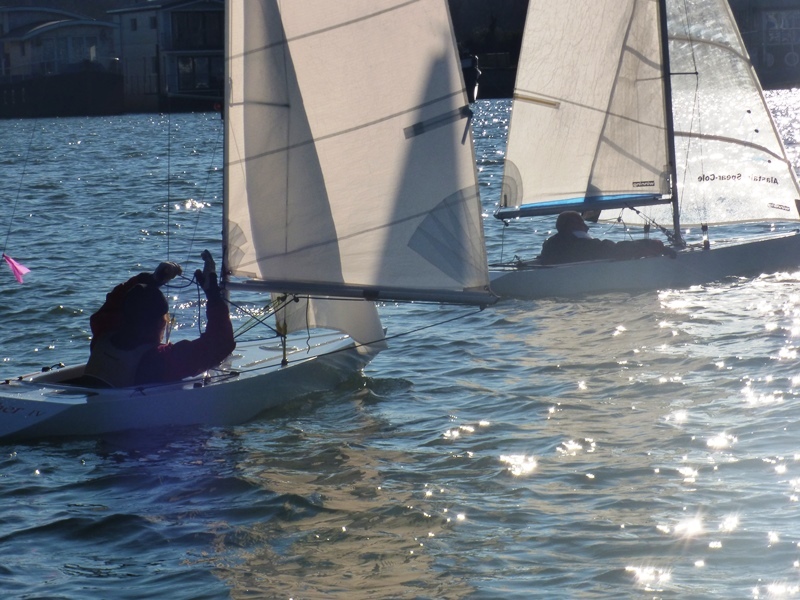 It was therefore team Downer (Mark & Jo) for RVYC against Raymond Simonds & Alastair Speare-Cole for SVYC. 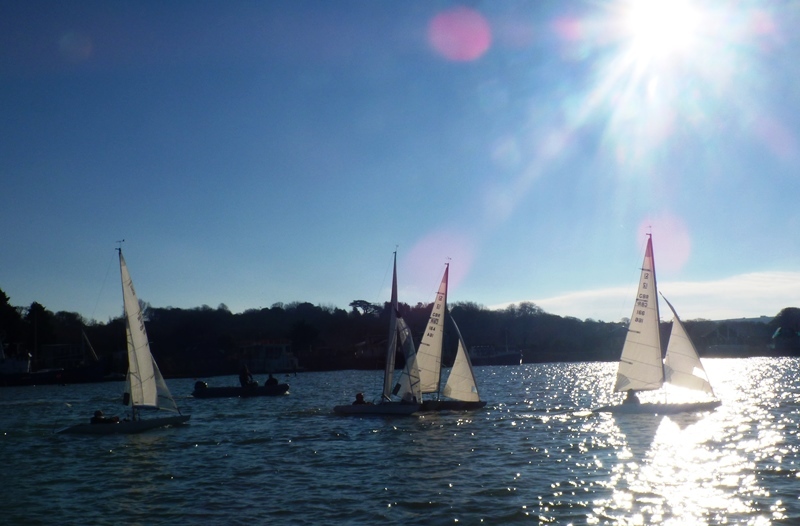 And unlike in early December, conditions were almost perfect for team racing; there was even a bit of sunshine! 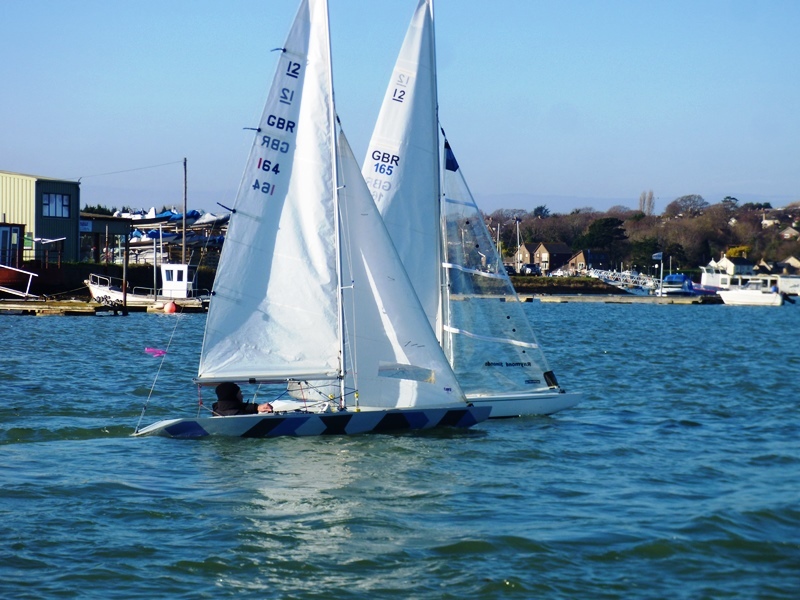 After some close manoeuvring pre-start and Alastair having to take a penalty, the Downers held most of the cards and took the first race reasonably easily with a first and a second. However, things did not go quite as smoothly for the second race with Alastair crossing the finish line first and Raymond making it a 1-2. 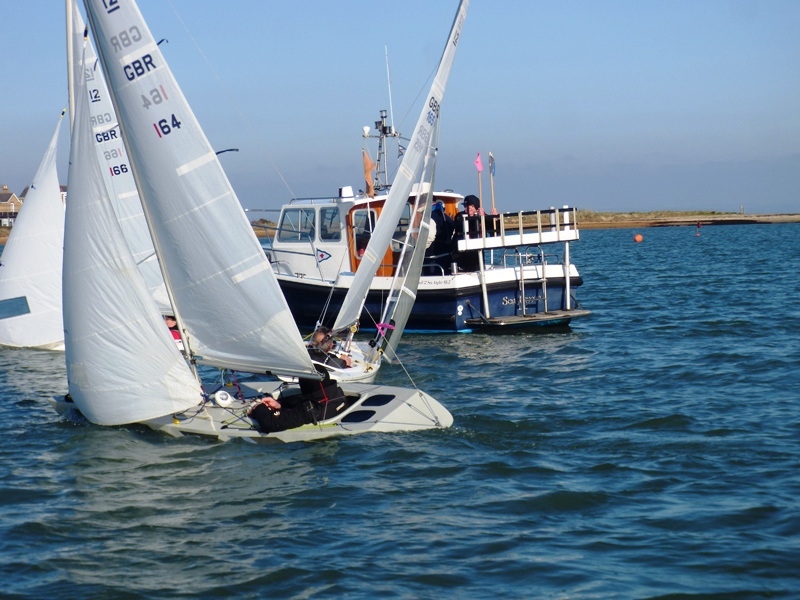 The pre-start for the third race initially looked as if it was going the Downer’s way, but then Jo had a senior moment and started very early and although it did not take him long to clear, Mark was also initially caught OCS. 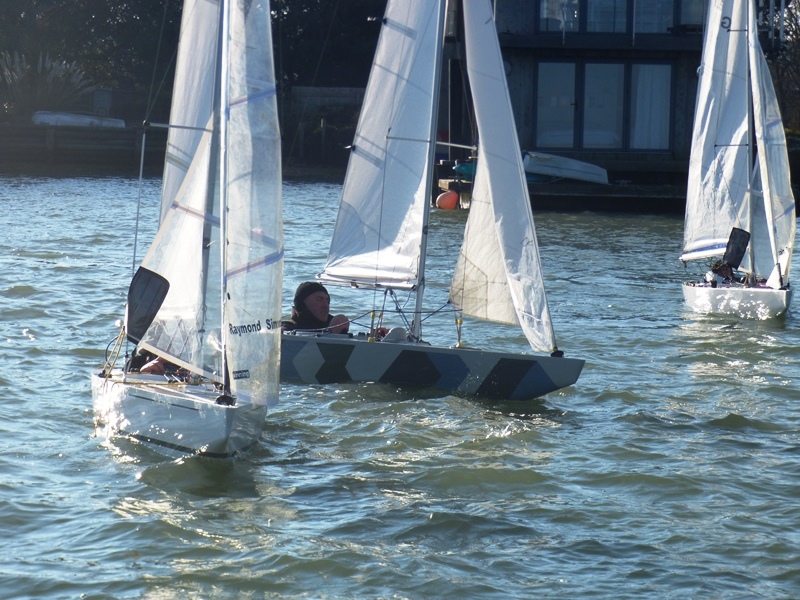 By the time both had recovered, the SVYC team were well in control and took first & second. The final result therefore hinged on who won the fourth & final race of the day. 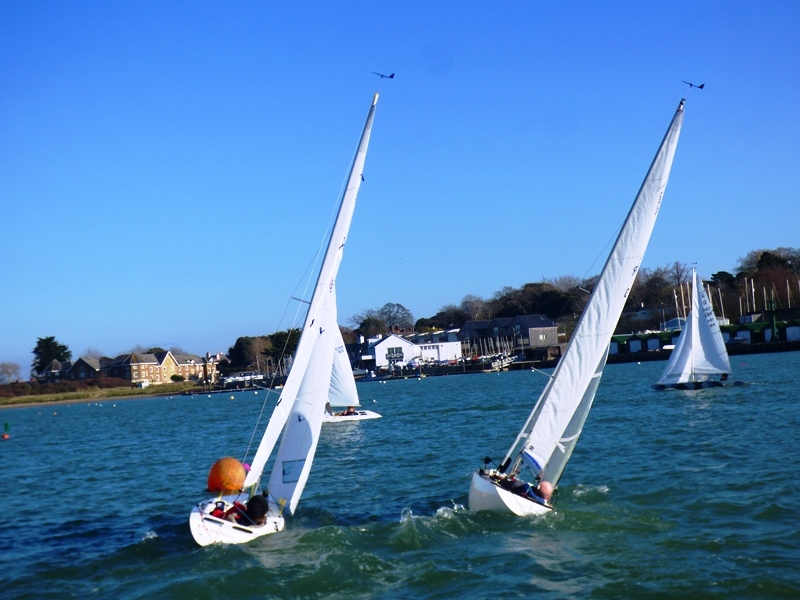 The pre-start was pretty even with no penalties; as in the previous races, it was Mark v Raymond, and Jo v Alastair. 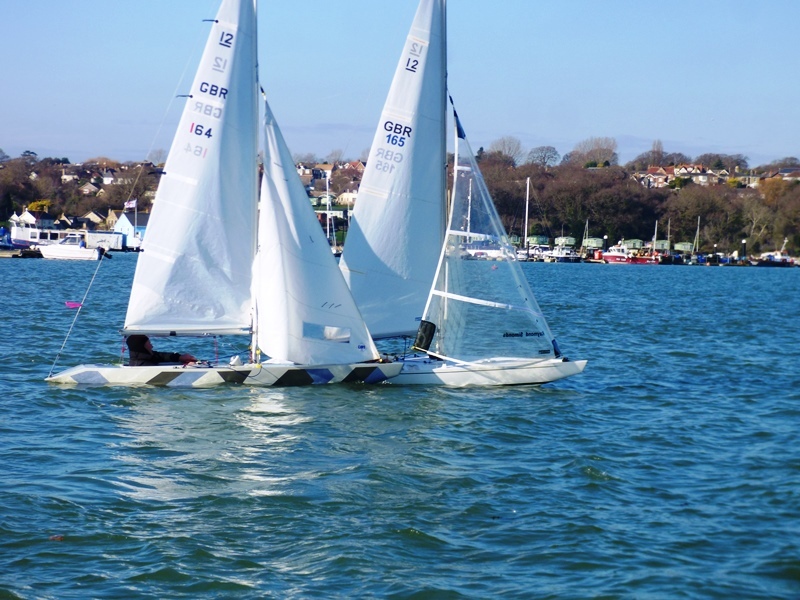 After a good start by both teams, they split early on with Mark & Raymond using the right hand side of the course and Jo & Alastair, the left hand side. Mark rounded the first windward mark in front and then established a substantial lead by the time he had rounded the second windward mark. Jo meanwhile, having taken Alastair away from the first mark, found herself as the back marker at the second windward mark. With Mark re-engaging on the run to the finish line to try to hold Raymond & Alastair back so that Jo could move up a place, it became clear that the result was going to be decided in the final ten metres or so. And indeed this was exactly what happened! 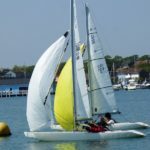 As they closed on the line Alastair got caught on port tack against Jo who was on starboard tack and so had to take a penalty and therefore end up as the last boat to finish. Mark took first, Raymond was second and Jo was third. This gave Jo & Mark two and a half points (they had half a point from the first race in December) against Raymond & Alastair’s two points. 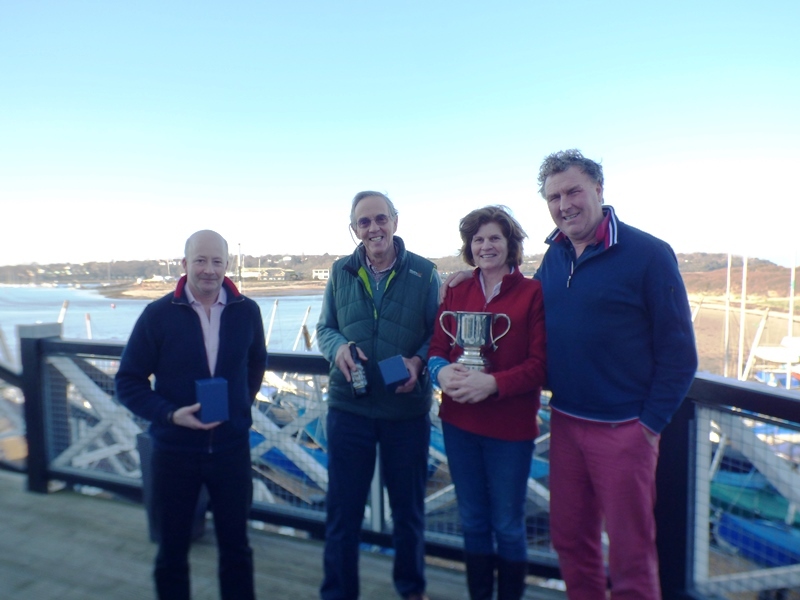 Great racing with the Downer’s retaining the Trophy for another year (and SVYC again being the runners-up). 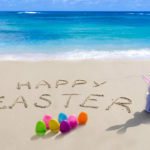 As always, many thanks to the umpires (David Peerless, Simon Cooper, Bruce Huber & Mike Samuelson) and the race team (Alexis Dogilewski & Robin Ebsworth) on Sea Breeze.